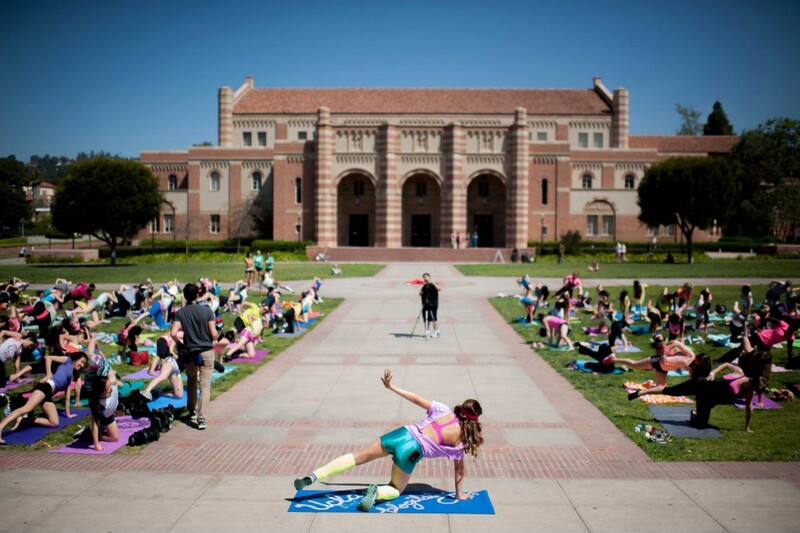 If you’ve not heard of Blogilates, it’s time you do. It’s the #1 female fitness channel on Youtube. And the face behind it is none other than Cassey Ho. Cassey started off as a mere Pilates enthusiast. But eventually, she became a certified fitness instructor and created her own brand of Pilates, dubbed POP Pilates, that relies on basic form and technique with a fun incorporation of pop music and zestful energy. In 2009, she started to post short routines on Youtube as something to give back to society, to share a bit of her passion. Seven years on, Blogilates has close to 3 million subscribers from around the world. Blogilates has won several awards since, and Cassey was named one of the Top 5 Health & Fitness Influencers in the World. One may wonder at the secret ingredients to Cassey’s success at turning Youtube videos into a global entrepreneurial venture. But as it turns out, the lessons to be learned are tried and true, yet so important. How much can one do with an exercise routine, right? Wrong. Cassey’s always pushing herself to create new routines and moves that are challenging, fun and prevents plateau. She also channels her creative energy into related projects. In her store of initiatives, you’ll find an app, yoga mats, water bottles, tank tops and clean eating recipes. This year, she took two more steps forward with her fashion-trendy POPFLEX activewear line and latest fitness creation PIIT (Pilates Intense Interval Training). Lesson: Stay learning. Turn limitations into opportunities to make you and your brand better and better. 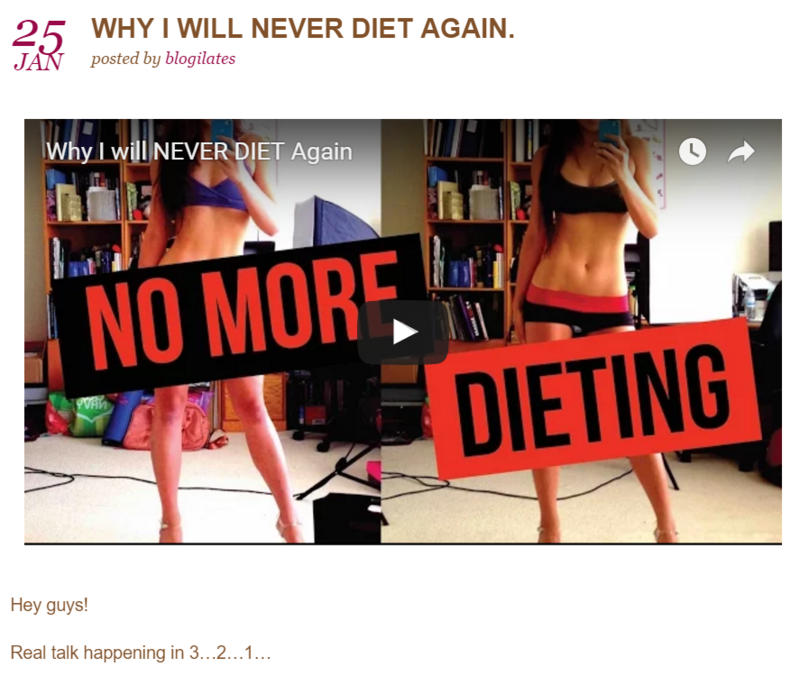 I believe one of Cassey’s strengths is her sincere engagement with the Blogilates community. She’s not afraid to say when she’s wiped out from her own workouts. And before Taylor Swift even thought about it, Cassey was already going out to meet her fans. There was a recent moment of vulnerability that has earned her even more respect. Cassey had released videos and a blog post admitting her struggle with body issues few years ago while she was running Blogilates. She spoke candidly about her obsession with losing weight and gaining abs, and about her journey back to accepting her body. Lesson: It’s important to be transparent and to uphold integrity. Being real doesn’t mean you have to tweet about your entire work process but it doesn’t hurt to show your human side every now and again. One common critique of the fitness industry is their tendency to overemphasize on the aesthetics. But Cassey is insistent that the weighing scale should not be the measure. Affirming how every person’s build is different, Cassey constantly focuses on the better functional benefit of working out – strength. Lesson: Break grounds. Challenge societal norms, and don’t be afraid to talk about them. Consistency can be a simple but a crucial element. It’s been seven years in, and though she now has a team, Cassey is still personally involved in her work. She continues to upload weekly new videos for free, update her blog, and more importantly, maintain the overall brand of positivity. And she does it with patience. It can be difficult to choose one venture out of many potential ideas. But she stuck to one and worked on it thoroughly. Take her PIIT workout plan for example: she took a year developing and testing it out. The same goes for her POPFLEX line, which took years of planning but she waited it out, and she delivered the best product that met a need. Lesson: Basically put in hard work, diligently. And don’t give up.